Conventional cancer treatments, including surgery, radiation and chemotherapy, are often effective in battling this frightening illness. Gentle natural therapies may be used in conjunction with traditional methods to help curb their troublesome side effects and boost their potency. There are more than a hundred types of cancer, all marked by uncontrolled growth of abnormal cells. Most begin as solid tumours, from which cancer cells can spread (matastasise) to other parts of the body. Untreated, cancer cells can overpower normal cells and sap the body's vital nutrients, resulting in grave illness or death. The cause of cancer is unknown, but such factors as smoking, excessive sun exposure, pollutants, stress and poor diet seem to play a role. Any of these may weaken the immune system, which is then unable to attack cancer cells effectively; or expose the body to free radicals – unstable oxygen molecules that can damage cells. Heredity also seems to be a key element in the development of many types of cancer. A change in either bowel or bladder habits. 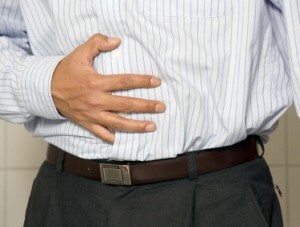 Chronic indigestion or difficulty in swallowing. Unexplained decreased appetite or weight loss. Thickening or lump in the breast, testicles or elsewhere. Persistent cough, hoarseness or sore throat. A change in a wart or mole. Debate about supplements in cancer treatment is intensive, but some supplements, taken daily over the long term, can be valuable additions to conventional cancer therapies. Vitamin A, with the antioxidants vitamin C, vitamin E, carotenoids (especially beta-carotene and lycopene), selenium and coenzyme Q10, helps to protect cells from free radicals and may inhibit the growth or cancerous cells. These supplements may be particularly beneficial for people who have been treated with chemotherapy or radiation – procedures that damage healthy cells while they attack cancer cells. Amino acids may speed healing and slow tumour growth as well. Rotating echinacea in three-week cycles with extracts of medicinal mushrooms and other herbs may stregthen overall immunity during cancer treatments. (Vitamin C also bolsters the immune system, helping it to fight off any cancer cells still in the body after treatment.) The Coriolus versicolor mushroom has shown particular promise against lung, stomach and colon cancer. Taking a liver detoxification formula (sometimes sold as a lipotroptic combination) can help to prevent the buildup of cancer-promoting toxins in the body. Ginseng and astragalus, taken together, also seem to boost immunity and reduce the side effects of treatment. Eat a balanced diet, rich in vitamins and minerals. Join a support group: studies have shown this step can prolong your survival. Try exercise, meditation, biofeedback, massage or imaging techiniques to help reduce stress, lessen anxiety and ease symptoms. Half of all Australians and New Zealanders with cancer try alternative treatments, but many don't tell their doctors because they expect them to disapprove. Let your doctors know of any supplements you take so they can make informed treatment recommendations. Eating healthily and taking regular exercise can slash a breast cancer victim's risk of dying. New research has found that women who get at least 2-3 hours of brisk walking each week in the year before their diagnosis are 45% less likely to die of breast cancer than women who are sedentary before their diagnosis. This was a prospective observational study of 933 women enrolled onto the Health, Eating, Activity, and Lifestyle Study who were diagnosed with breast cancer between 1995 and 1998 and observed until death or September 2004, whichever came first. 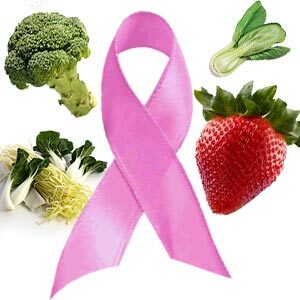 Further research has also concluded that a combination of diet and exercise cuts the risk of dying of breast cancer in half amount early stage breast cancer patients. This means at least five servings of vegetables and fruits daily and walking 30 minutes six days a week. Would You Like Cancer With Your Coke? The Coca-Cola Company doesn’t like it, but it’s removing the caramel coloring from Coke due to California declaring the compound to be a carcinogen. Coca-Cola Co and PepsiCo Inc are making changes to the production of this ingredient in their namesake colas to avoid the need to label the packages with a cancer warning. 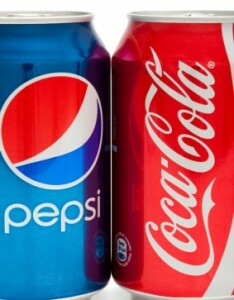 The question is, when will Coke and Pepsi make these changes around the world, not just in California? Probiotics are known for their many beneficial effects on the human body, but a recent research study has provided some amazing results for probiotic treatment in the reduction of colon cancer. Colorectal cancer is responsible for as many as 700,000 deaths worldwide every year, and is showing no signs of slowing down. However, according to this well-controlled Irish study, using a probiotic everyday, along with adopting healthy lifestyle choices could be the saving grace for thousands of Australians. This large-scale study highlighted the benefits of omega-3 fatty acids in the prevention of illness and disease, adding to a growing body of evidence proving that fish oil really is essential to your health. Women who reported a greater use of cleaning products may be at a higher risk of breast cancer than those who use them sparingly. In this smaller-scale study, researchers found that women who often used chemical based cleaners appeared to be at a higher risk of breast cancer. Given the many dangerous risks involved with the use of chemicals on the skin and around this home, this new research comes as little surprise. We have all heard the phrase 'You Are What You Eat', well perhaps we should be more specific in telling our kids 'You Will Be What You Eat' and when it comes to fatty foods you may not be here at all! New research shows that girls who eat a high fat diet during puberty, even those who do not become overweight or obese, may be at an increased risk of developing breast cancer. High fat diets during adolescence were found to increase inflammation in the mammary glands of adults and in this way promote cancer growth. Cutting out fatty foods was an easy and effective way to decrease girls' risk of developing cancer. Cancer is an insidious disease that is an unfortunate sign of the times. Now more than ever, our bodies are continually exposed to irritants that can affect how a cell behaves in the body. Our defences are also low – processed diets, little exercise and lowered nutrition means our surveillance mechanisms are not what they used to be. Evidence is indicating that the medical Kill to Cure strategy is not necessarily working. Instead, treating cancer as a process rather than as a rogue invader may be the better option. Breast-cancer drug Aromasin, worsened bone loss in post-menopausal women, raising the chance of fractures and calling into question whether the pill’s prevention benefits outweigh its risks. 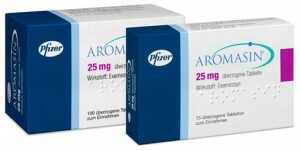 In a trial among 351 women at risk of developing breast cancer, those who received Aromasin lost about three times more bone-mineral density after two years than those who took a placebo. The Aromasin users also had an 8% decline in the thickness of cortical bone, which comprises the protective outer shell of the bones. The result contradicts earlier studies that suggested Aromasin may help stimulate bone growth. 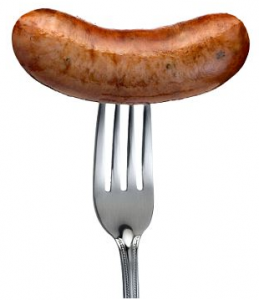 Can a Sausage a Day Lead To Cancer? Some bad news for all the bacon lovers out there. Research over the last three decades has looked at the effect that oestrogens have on the development and progression of breast cancer. The evidence is overwhelming that oestrogen is intimately connected to the development of about 70% of breast cancer cases. Emed looks at how can we reduce our exposure to this hormone and prevent this deadly disease? The use of a Ketogenic diet is showing promise for reducing tumour progression – sometimes even reversing disease conditions – and appears to be a safe and feasible option, even in advanced stages of cancer. Read on to find out more about the Ketogenic diet and which nutritional strategies are most beneficial to cancer patients. A new study in British Medical Journal found evidence to suggest that exposure to diagnostic radiation before age 30 can drastically increase risk of breast cancer in women with BRCA1/2 mutations. Ionizing radiation (x-ray or mammograms) used in medical diagnostics and treatment is a known carcinogen. In women with BRCA1/2 mutations, any exposure to diagnostic radiation before age 30 was found correlated with a 90 percent increased risk of developing breast cancer. And the increase was dose-responsive, higher doses leading to a higher risk. 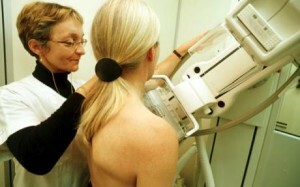 Exposure to x-ray- based mammography before age 30 was also correlated with a 43 percent increased risk of breast cancer. While many studies have shown positive results for the use of fish oil in breast cancer prevention, some evidence has been conflicting. To reach a more conclusive outcome, researchers have for the first time analysed all available prospective cohort studies to summarise this association. Read more on the interesting results and find out how to implement the evidence-based recommendations into your wellness program. Eating raw garlic may not do wonders for your body odour, but new research shows it could reduce your lung cancer risk by almost half! Even smokers benefit from the cancer-protective effects of garlic, although to a lesser extent than non-smokers. Known for its health-promoting and infection fighting effects, find out how this medicinal bulb can also protect your lungs. Plus, how you can easily include more garlic in your diet and how much is enough? When diagnosed with cancer, it can feel like you have little control over your life. Surgery, Chemotherapy and/or Radiotherapy is quickly prescribed and away you go. You do however have control over your physical fitness. By exercising on a regular basis, you gain the power to enhance your treatment outcomes, minimise the side effects and reduce the rate of recurrence. So what are you waiting for, take back control of your health and work up a sweat today!